Comments: This is an old polyantha rose that was introduced in 1888. 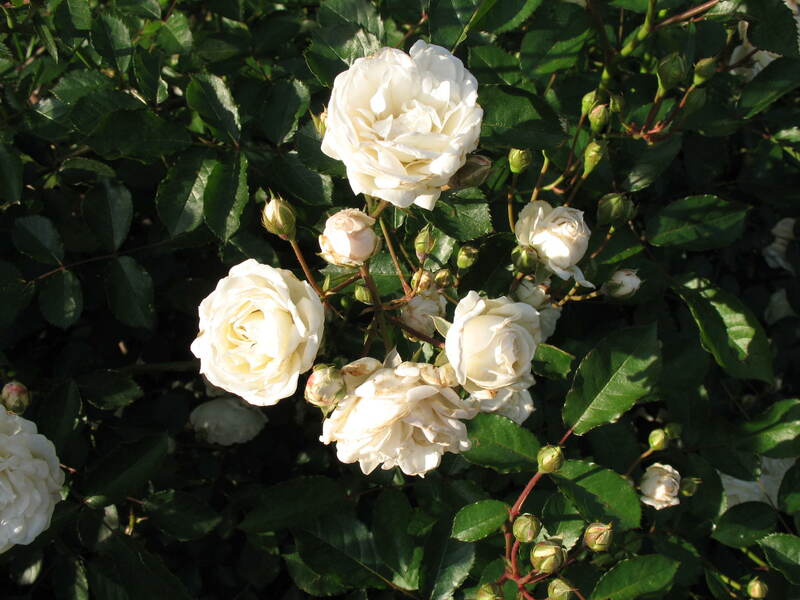 Clusters of creamy-white flowers are very fragrant. It is quite disease tolerant but does have some black spot but seldom needs to be sprayed.